Herbert W. Armstrong was recognized and respected by world leaders as an ambassador of peace. Until his death, he was pastor general of the Worldwide Church of God and editor in chief of the Plain Truth magazine. He was founder and chairman of the Ambassador International Cultural Foundation, known for its cultural, charitable and humanitarian activities, and in 1947, he founded Ambassador College in Pasadena, California. Armstrong exposed the real causes of—and solutions to—the problems facing human civilization through his internationally broadcast messages to the public and personal meetings with kings, presidents, prime ministers, ambassadors and other leaders of government. 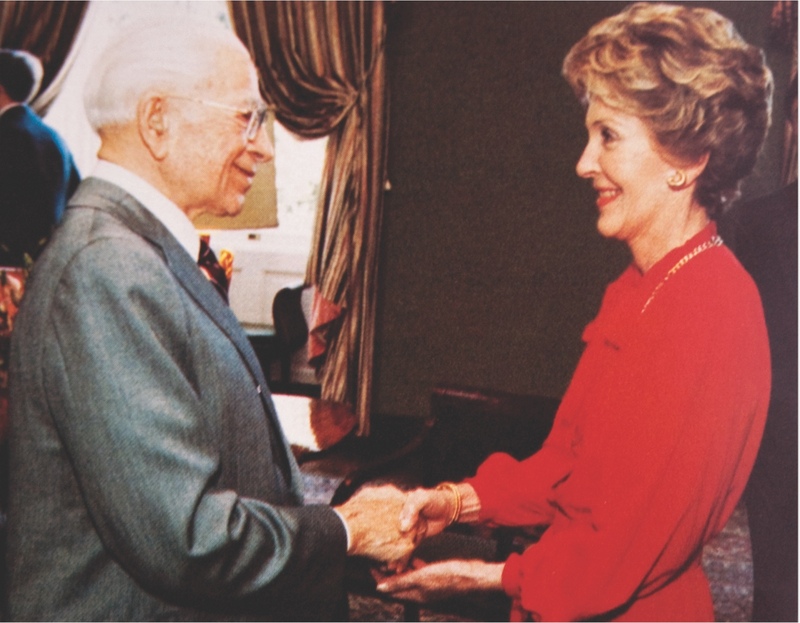 Mr. Armstrong is greeted by U.S. First Lady Nancy Reagan at the White House. During the last 20 years of his life, Armstrong discussed domestic and world problems with dozens of heads of state and other leading officials in government, education and industry. In his meetings, Armstrong spoke about the causes of and ultimate solution to the problems threatening humanity. Mr. Armstrong worked passionately to assist peaceful relations between Israel and Egypt. 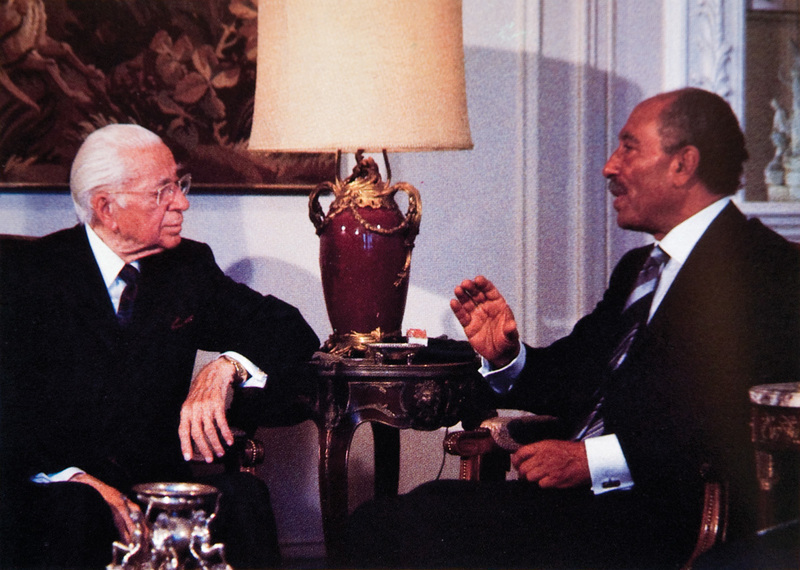 With President Sadat about a year before his assassination. Armstrong discussed his way of life with the leaders he met: the way of unselfish, outgoing concern that leads to peace, happiness and an abundant life. This way of life has been taught and put into living practice at Herbert W. Armstrong College, and the Armstrong International Cultural Foundation’s cultural and educational projects also reflect this philosophy of giving and service to others. 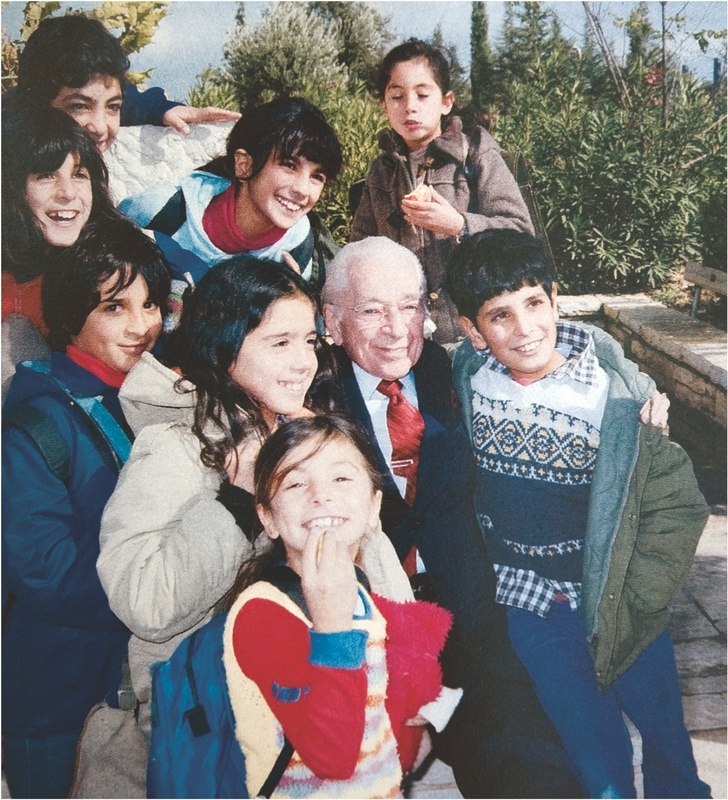 Children cluster around Mr. Armstrong in Jerusalem's Liberty Bell Park, which he helped build at Mayor Teddy Kollek's request. Armstrong first visited Israel in the summer of 1956, taking pictures of various biblical sites for Plain Truth magazine. In 1968, Israel’s preeminent archaeologist and former president of the Hebrew University of Jerusalem, professor Benjamin Mazar, undertook one of the most important digs in Israeli history: excavating the southern wall of the Temple Mount. Professor Mazar offered 50/50 joint participation in the project to Ambassador College at a private luncheon in the Knesset, where Minister of Tourism Moshe Kol proposed they “build an iron bridge that can never be broken.” The next day, at an official ceremony in the presidential palace, Armstrong accepted. The partnership lasted nearly two decades. 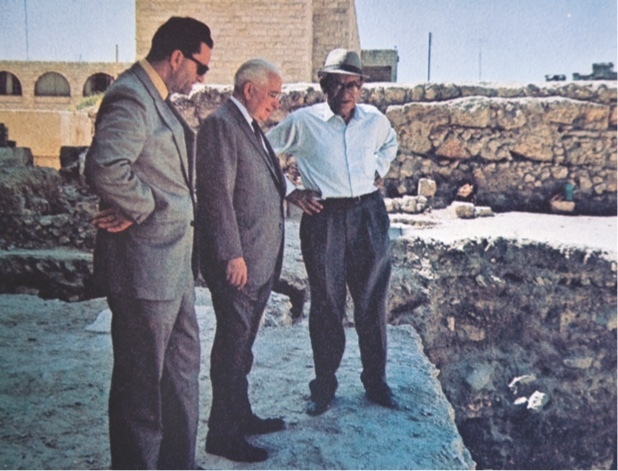 Mr. Armstrong visits the archaeological site with Professor Mazar (right) early in their long partnership. Excavations in Jerusalem under the joint participation of the Hebrew University of Jerusalem and Ambassador College were completed in 1985. Dr. Eilat Mazar, Benjamin Mazar’s granddaughter, resumed excavations at the Temple Mount in 1986, focusing on the First Temple period at the eastern part of the site. She continued her grandfather’s legacy throughout the 1990s. 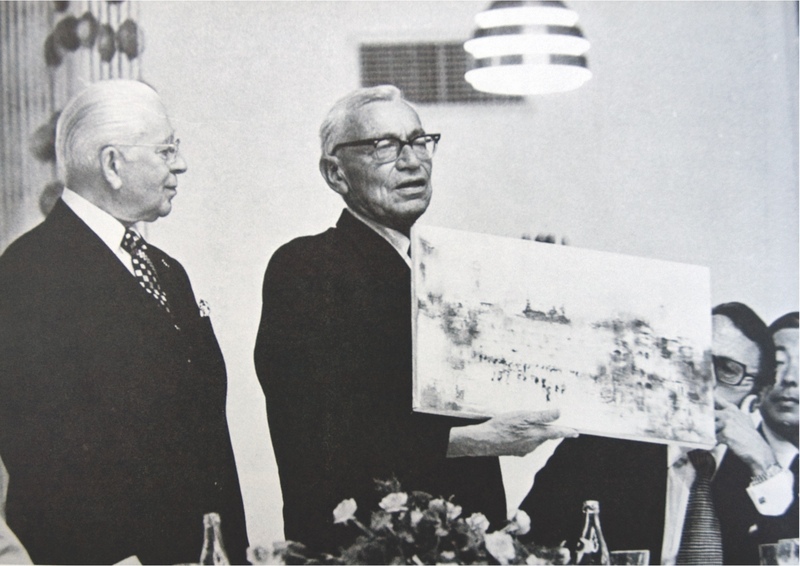 Professor Mazar presents a gift to Herbert W. Armstrong at an honorary dinner hosted by the Japanese Ambassador to Israel in 1974. When Herbert Armstrong died in 1986, those to whom he entrusted Ambassador College and the Worldwide Church of God (WCG) rejected his legacy. The college closed in 1995, and the campuses were eventually sold. All of the Ambassador International Cultural Foundation’s humanitarian and cultural activities ceased. 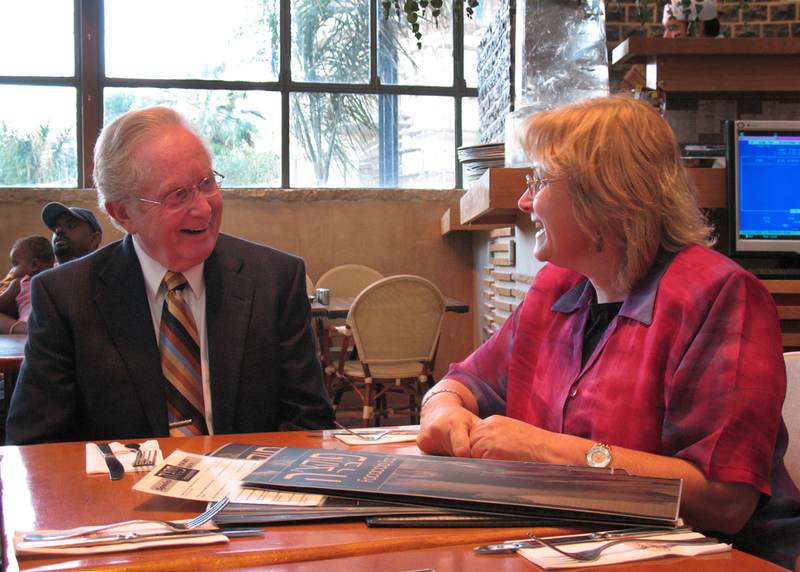 Gerald Flurry and Dr. Eilat Mazar meet over dinner in Jerusalem. The Philadelphia Church of God broke away from the WCG in 1989 to keep Armstrong’s legacy and work alive. In 1996, his loyal supporters founded the Philadelphia Foundation (later changed to Armstrong International Cultural Foundation) to carry on his humanitarian work. In 2001, they founded Herbert W. Armstrong College in Edmond, Oklahoma—a liberal arts college patterned after Ambassador College. In 2006, when news came that Dr. Eilat Mazar had uncovered King David’s palace, Armstrong College officials offered to renew the partnership—and the symbolic baton passed to a new generation. Top photo: Loma D. and Herbert W. Armstrong, circa 1960.